QUELLE STRUCTURE TARIFAIRE POUR ECONOMISER L’EAU ? 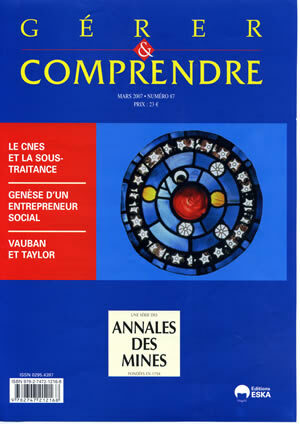 VAUBAN, LA NORMALISATION DU TRAVAIL AVANT TAYLOR ? Top Down. Why Hierarchies Are Here to Stay and How to Manage Them More Effectively par Harold.